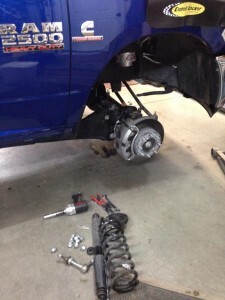 One of the first mods that comes into a new truck owners mind is wheels and tires. A quick trip to their favorite forum sheds light on the actual first upgrade that they’ll invest in first… a lift or leveling kit. 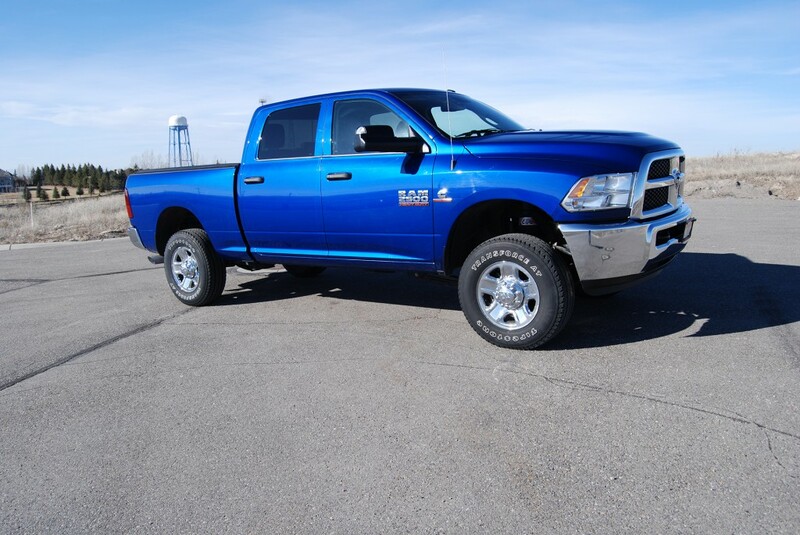 While not the case with the new 13.5′-15′ Ram 2500-3500, most trucks require some extra height up front to make room for the more popular tire sizes, which generally start at 35 inches in diameter. Eliminating the factory rake, not only helps improve the stance of the truck but also makes room for some bigger meats. Here are Premier Performance we do more than just distribute parts to our dealers. Actually knowing the products is very important to us and what better way than to try them ourselves. With over 30 test vehicles among our sales and management teams, we have a unique opportunity to get familiar with the popular cars, trucks, and Jeeps of today and what’s available to make them perform better or make them more individual. For my 2014 Ram 2500, I decided to go with the SuspensionMAXX MAXXStaks, which gave me an additional 2.5″ of height up front. The RAM Trucks are also known for having weak sway bar end links, going bad as early as 50,000 miles. SuspensionMAXX has a solution for that problem too, the MAXXLink. I figured that we’d remedy that issue while we were in there as well. Eric Brusman, one of our technical sales representatives installed the MAXXStack’s and MAXXLink’s in less than hour while I bumbled about in the bed installing some bed accessories… which took me twice as long. One of the things that I didn’t want to do with my new Ram was screw up the ride quality. 2014 is the first year that a 3/4 ton truck has been available with anything other than a leaf spring suspended rear axle, utilizing instead a multi-link system with coil springs. The result is a much smoother ride without a load than is typically found in a truck designed to carry heavy loads. It’s still no Cadillac ride but I would say it’s superior to the previous generation. The new setup also provides better articulation over rough terrain, all the more reason for bigger tires! I was most interested to see if there would be a difference in ride quality with addition of the coils spring spacer’s and shock spacer’s in place. After it was all put together, I could not discern in the ride quality of the truck. Eric was able to get the alignment almost perfect when putting it back together too. I took it in for an alignment and tire rotation and everything was in the green. The MAXXLinks are available in multiple lengths to accommodate stock, leveled, or lifted ride heights. I went with the SMX-1315L, which are sized for up to 3″ of lift. The MAXXLinks are a maintenance free design. Replacing the ball-in-socket design with thermoplastic/urethane bushings, they’ll likely last longer than the truck will. Complete with easy to follow instructions and a lifetime warranty, SuspensionMaxx has excellent leveling and lifting solutions for today’s most popular rigs. I’ve yet to decide on wheels and tires for the Ram but it’s stance is markedly improved over stock and still rides great. Adding the extra 2.5″ has expanded my options for tire size as well. 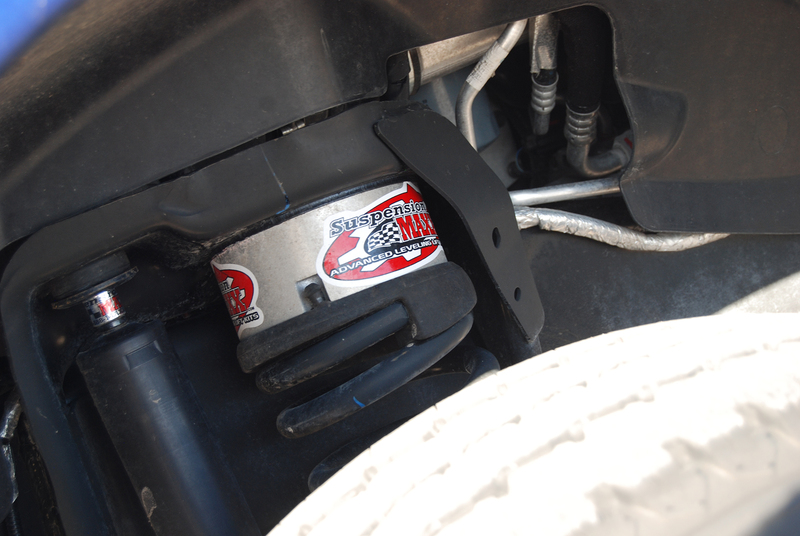 For more information on SuspensionMaxx products please call your local Premier Performance Products sales representative. 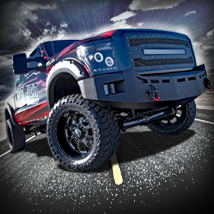 We are your #1 wholesale distributor for enthusiast driven aftermarket products.